Our clients can avail from us a versatile collection of a Diaphragm Pump. The offered range operates on a simple mechanism that comprises of very few moving parts and is built specially using cutting-edge technologies at our state-of-the-art infrastructure. Our pumps can suit a diverse range of pumping situations in various industries. These products are highly appreciable owing to their sturdy construction, dimensional accuracy, resistant to extreme temperature conditions, long functional life and less electricity consumption. 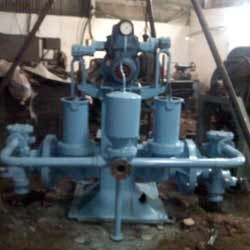 We have carved a distinct niche for ourselves in this domain by providing a wide range of Diaphragm Pump. This range of pumps is fabricated by our experienced professionals using high-class raw material and sophisticated technology. Moreover, offered pumps are stringently tested to ensure their compliance with the industry set standards. Looking for Diaphragm Pump ?